As I got into this, my ac delco digital torque gauge with socket, didn't fit the back head bolts. Then I tried using my torque wrench, but it appears that this does not click in reverse (I tried around 100lb based on other bolts, didn't get a click and tried at a lower value of 30 and did not get a click, so the 4 bolts at the back of the head don't have values. 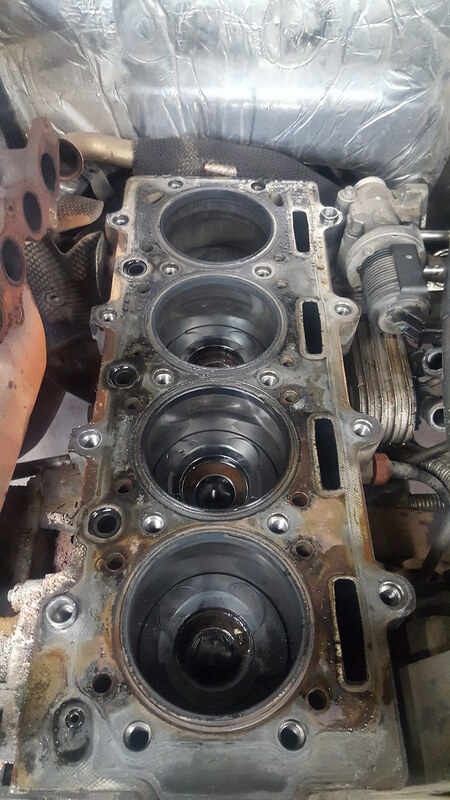 But, my headgasket leak is occuring into cylinder 2. Machine shop said head warp was less than .002". They decked the head .005" to get rid of impressions left by the previous headgasket. 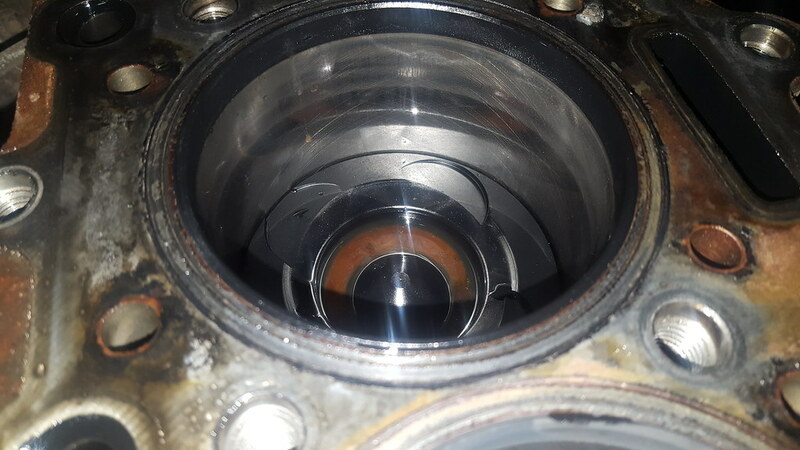 Leaking was definitely occurring to the outside of the pistons, between water jackets. When I torqued the head, the order I used was the one in the image, having not seen the text in the FSM saying to jump all around using a different order. That's a really poor job by the people writing the FSM, labeling the bolts one way only to torque them in a different order in the text. I am a noob, I'll get that out of the way... 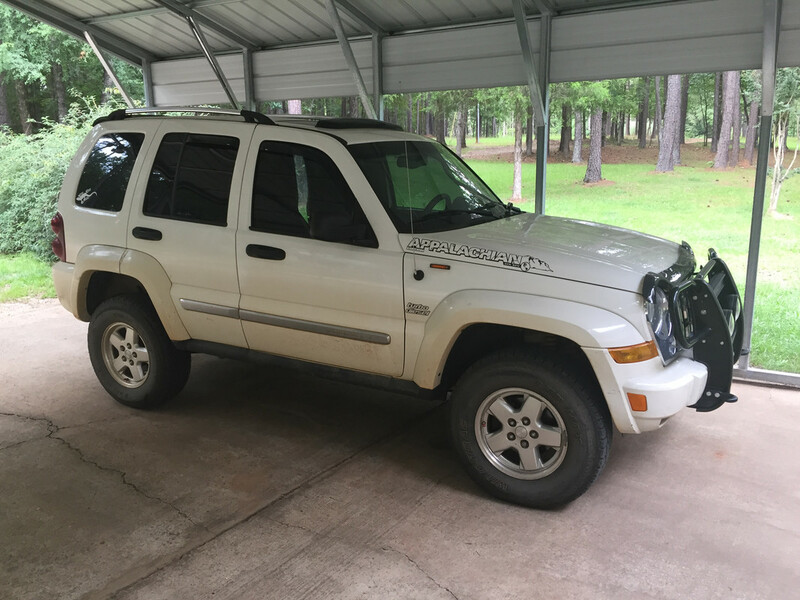 I have a 2006 Jeep Liberty CRD Limited. With the ARP studs, the general rule is 130 ft/lbs on the ten inner stud nuts and 125 for the eight outer ones. Torque them down evenly following the same sequence as given in the FSM. 2005 CRD 190,000 Never apart until now. Un-torqued with a Snap on digital torque wrench recently calibrated. Head gasket did not appear to be leaking and head was straight, taken off because of bent exhaust valve and broken off glow plug when doing a rocker and ARP stud update. 3 failed/broken rockers at 190,000 motor still ran great other than odd thump noise in the intake all other rockers wore out.